Laural has been working in the insurance industry for the past 30 years. She has learned a lot about the insurance industry along the way, but her love for rescue has helped her to become well acquainted with the ins-and-out of the insurance needs of rescues, shelters and vet offices. Her first involvement with rescue was fostering an adorable little pit bull puppy named Dennis, and she’s had an affection for the breed ever since. Since Dennis, Laural’s involvement in rescue has continued to grow and has involved a multitude of activities from fostering, to hosting adoption events and now following her passion to assist with training and supporting fosters and adopters in setting themselves, and their new pet, up for success. 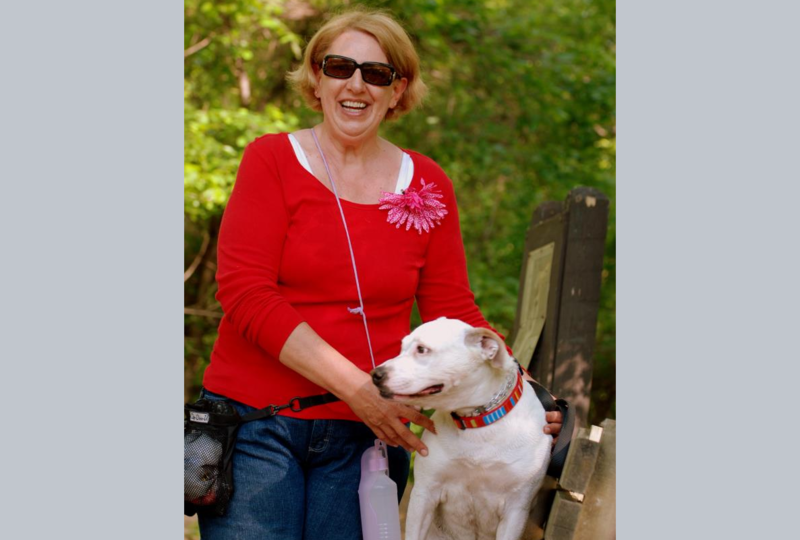 When Laural adopted her first dog – a reactive dog named Biloxi, she learned a lot about training dogs. They attended many training classes together—sometimes taking them two and three times. Then along came her next adopted dog Albert, who she decided would make an excellent Therapy Dog, so off they went to more classes and right after his first birthday, they became a Therapy team! 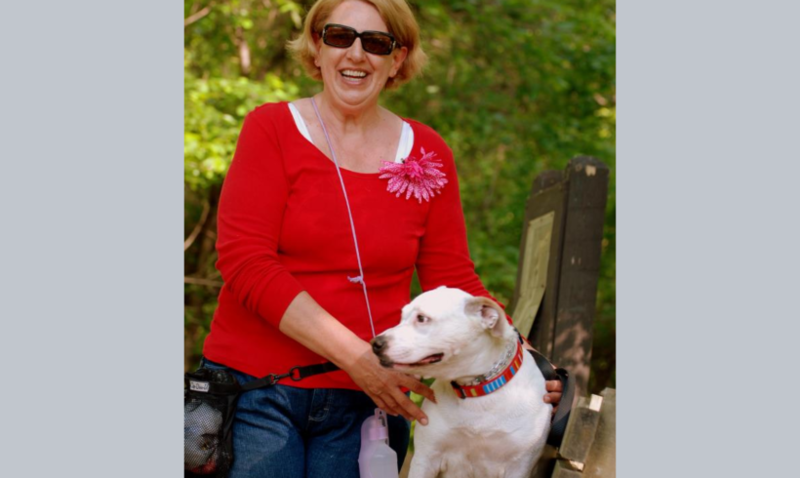 As a result of these experiences, Laural loves having the ability to share her background and knowledge with other dog owners by working with the dogs at The Rescue Crew individually as well as in the training classes we offer. After all, it is the human that really get trained! In addition to Biloxi, Albert—who both are Canine Good Citizen certified, Laural has a third pit bull-type dog named Rosie Mae, who was the victim of a vicious dog attack that Laural helped nurse back to health and then ultimately decided to adopt through The Rescue Crew. When not thoroughly consumed by her insurance and rescue work, Laural enjoys her six grandchildren when they are available along with knitting and taking her dogs for walks.